Jump-Start Your metabolism and more! Having trouble kicking the pop habit? Try adding lemon to sparkling water. Lemons are packed with goodness that your body needs! In fact, I have all my clients guzzle 16 ounces of lemon water straight out of the bed. Why? This helps get their engine going by jump-starting their metabolism, digestive system and it cleanses the liver and kidneys. Doing this can help get things rolling in the morning… if you know what I mean..
• According to livestrong.com, Ann Louise Gittleman, author of “Fat Flush for Life,” recommends having hot water with lemon first thing in the morning in order to help you lose weight, keep you hydrated, improve your digestion, and increase vitamin C intake. Gittleman suggests combining the juice of half lemon with one cup of hot water. You can also use 1 tablespoon of 100 percent organic lemon juice instead. • To rev up your metabolism even further, Gittleman suggests adding a pinch of ground cinnamon and a pinch of ground ginger. • In addition to vitamin C, lemons also contain vitamin B, potassium and calcium. • Drinking lemon water may promote healthy digestion and healthy skin. • Drinking warm lemon water when you are sick is helpful is loosening congestion and preventing dehydration, as well as soothing your throat when you have a cough. • The American Cancer Society recommends hot lemon water for cancer patients to help stimulate bowel movements. 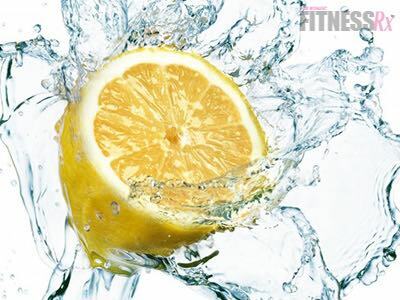 • Lemon water provides a sweeter, sugar-free way to hydrate yourself. So you may be more likely to get in all the water you need throughout the day when you’re enjoying something other than plain water. • Sipping on lemon water daily may help provide relief for upset stomach or constipation. • May help boost your mood and help reduce anxiety and depression, because it’s been reported that lemon scent has natural mood-enhancing properties. Lemon juice may also be beneficial in protecting against kidney stones. This is because drinking one-half cup of pure lemon juice every day raises less of citrate, a stone-preventing substance. While it may not work as well as potassium citrate, lemonade may be a good alternative for those who want to avoid prescription medication. According to WebMD, Steven Y. Nakada, chair and professor of urology at the University of Wisconsin, Madison, puts patients on lemonade therapy when treating them for kidney stones. In fact, David Kang, a medical student and researcher at Duke University Comprehensive Kidney Stone Center, and colleagues followed 12 kidney-stone patients who had been participating in lemonade therapy for up to four years. During that time, the patients had a lower burden of kidney stones and formed kidney stones at a slower rate than they had before starting the lemonade therapy. Also, Kang stated that none of the patients needed medical intervention over an average treatment period of four years. But according to WebMD, Kang noted that a larger-scale clinical trial needs to be conducted in order to confirm these results. NOTE: Drink lemon water through a straw because too much can harm the enamel on your teeth! With all these benefits, you should not sour on drinking lemon in your water.